My other easy creation Strawberry Jam in the Bread maker. This is also especially cheap and easy, while Strawberries are so plentiful and reasonably priced. I bought a few punnets for about $1 each. It then asks for some Jam setta, but I put some lemon juice in instead. 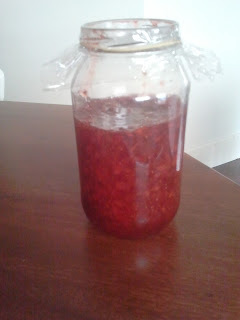 I put it on the Jam setting, and in about 1 hour, I had delicious homemade preservative free strawberry jam. How easy is that????? Obviously, you can use whatever other fruit you have on hand. It is just divine and so flavoursome - too much so in fact, as I keep eating it on slices of freshly made homemade bread. But it is so easy and of course we know exactly what is in it. No preservatives, No Additives, No Flavours and No Colours. 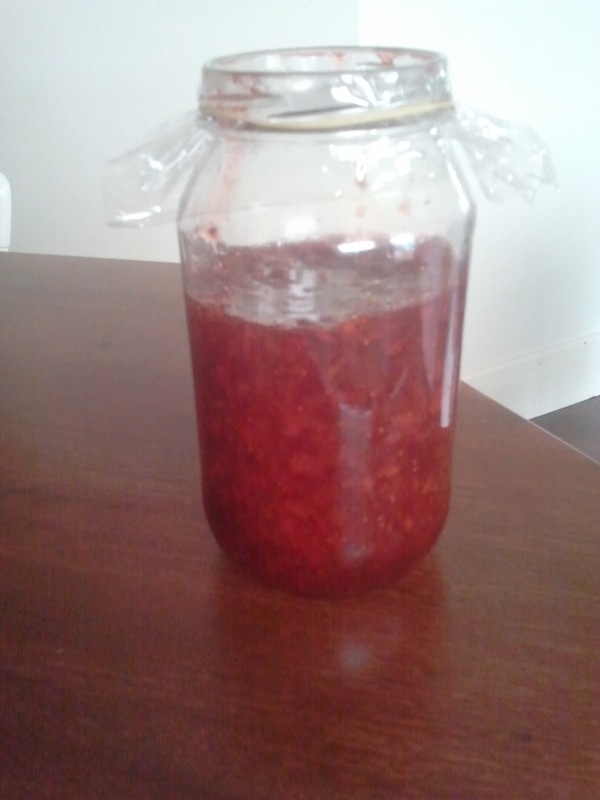 My Freshly Made Strawberry Jam -- Yumm!! !